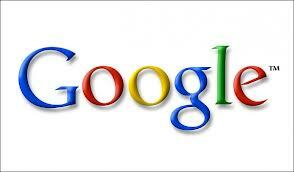 Top 3 Most Googled Questions From Working Mums in 2012, and the answers! One of the best features of a WordPress blog is that it has an excellent feature to help you work out how people found you. I love going through the list of search terms regularly and I often wonder if some of these readers found what they came for. Some of it is a bit odd, (like ’50 shades of grey bogan version’), others make a lot of sense (‘how do I get family tax benefit’) while other search terms are a bit of a worry (‘road rage outside daycare centre’). Today, we’re working through the list and answering some the questions readers most often ‘googled’ to find us. We don’t pretend to have all the answers, (does any mum?) so feel free to correct and clarify. But in the interests of sharing any working mum knowledge there is, here’s our answers to the Top 3 Most Googled Questions from Working Mums in 2012. 1. Can I claim school uniforms on my taxes? This is officially our Most Googled Question. The question probably comes from the Education Tax Refund which made school uniforms a legitimate tax deduction for a couple of years there, but it has now been replaced by the SchoolKids Bonus, which is a similar payment to the same families who were previously eligible but with with a bit less paperwork. Find out moreabout who is eligible and how to get it here. 2. How to be a good working mum? First, you already are. It makes me sad that so many of us wonder about this – so much that we’re googling the damn question! If you love your kids, and want to do a good job, you are being a good mum, so our first suggestion is to relax, and give yourself a little credit. More practically we’d also suggest the most important thing is to build yourself in wriggle room. Organise your days, hours, childcare and transport as though things are going to go wrong sometimes. Kids will get sick, work will be unreasonable and the trains won’t always ever run on time. If you use up all of the time your parents are able help out on a weekly basis, what will you do during school holidays? Would you be better off putting kids in daycare or after school care and having grandparents help out when things fall apart? Do any of your daycare centre workers do babysitting out of hours? Find out ahead of time in case you get caught. There will be times when you need a backup plan for your backup plan, so when you’re working out how many days to work, make sure you consider the things that can go wrong and not just how it will go when all is running smoothly. If you’re not yet back at work and think I’m being pessimistic, remember your plans to learn French/lose all of your baby weight/organise the kitchen renovation while on maternity leave. Yes, working has its practical realities too. It’s also perfectly reasonable to work out how you’re going to do whatever’s important to your sanity. Coffee with girlfriends? Exercise? Regular access to white wine? Escaping the house without any small people clinging onto your person and wiping their leftovers on your white shirt? It’s all a fair enough ask – and possible even though you’re managing the needs of employer/colleagues/partners and children 24 hours a day. If you’re not yet convinced, check out this piece what a great Role Model you are when you take a little something for yourself. 3. Who gets carbon tax compensation? Interest in this one has died off a little towards the end of the year, probably because the tax came in and THE WORLD DID NOT END. Amazing really. We still get asked occasionally though so here’s the short version of the answer. Family Tax Benefit Part A recipients received up to $110 for each child. Family Tax Benefit Part B recipients received up to $69 per family. Single pensioners received up to $250. Pensioner couples received up to $190 per eligible member. Most of it’s already been paid though, so hope you noticed it! You can find out more about carbon tax compensation in this post. This January, parents of the 1.3million school aged children who meet income test requirements will receive half of a new payment designed to help families with school costs. – $410 for each secondary student (with another $410 paid in July). The Schoolkids Bonus replaces the old Education Tax Refund but there’s no need to collect receipts or claim it through your tax. Handy if you’re buying school shoes, uniforms or getting kids haircuts this week. Judging by the chaos at my local store, pretty much everyone in Australia is doing exactly that right now..
You need to be receiving an eligible payment, which for most people means Family Tax Benefit A. If you’re not receiving Family Tax Benefit Part A, you can find out if you’re eligible here. Note that if you receive your Family Tax Benefit as a lump sum at the end of the year, you will receive your payment then, so don’t panic if it’s not there now. While you’re at it, there is also quite a good online estimator to help you work out eligibility for any other family payments here. The good news is that if you think you’re eligible but haven’t applied yet, you won’t get the money this week but you can still register your children and receive the payment here. Note that while it’s *technically* possible to do this all online, we find the website very clunky and difficult to use, as opposed to collecting an paper copy of the form from your local DHS Service centre or Medicare office. It may not cover a round of school shoes and uniforms for everyone, but every little bit helps!